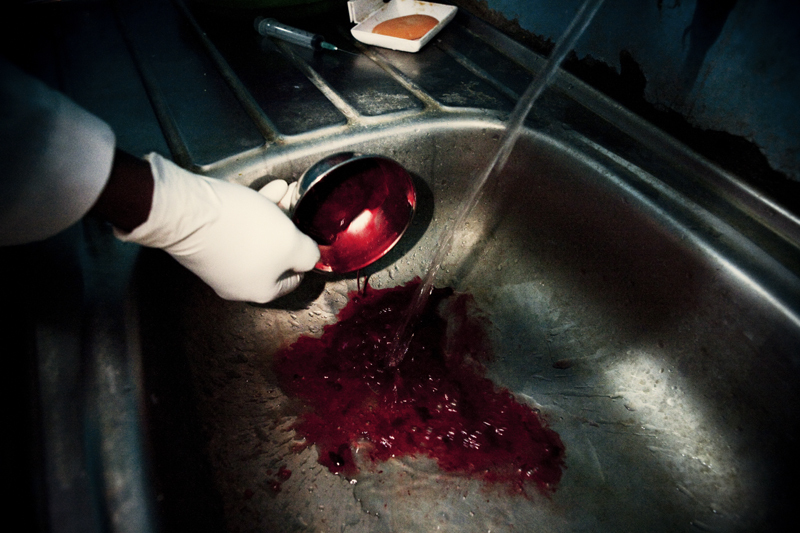 ONGATA RUNGAI – JUNE 21: The fetal tissue and blood is then washed down the sink after the illegal abortion is preformed in Ongata Rungai, Kenya on June 21st, 2010. The doctor states, "this is how you dispose of the evidence." Abortions in Kenya are illegal, unless the life of the woman or child is in danger.